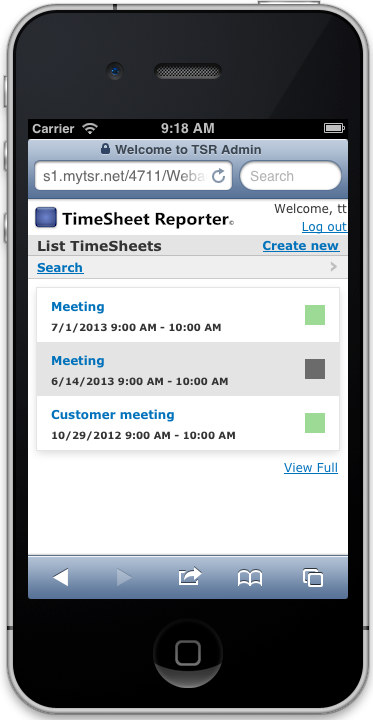 TSR WebAdmin comes in a version optimized for smartphones, such as iPhone, Windows Phone, Android, etc. 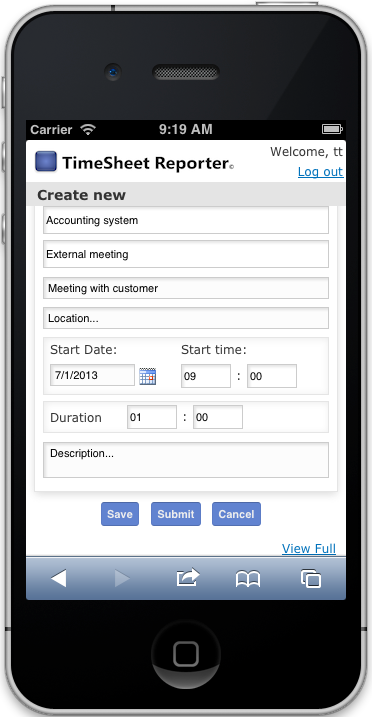 Make sure that the users that will be using TSR from their smartphone, has the permission to do so. You do this by going to your Role Administration in TSR WebAdmin, and select the proper role for the relevant users. When you’ve selected the Role, click on the Permissions tab, and check the box next to SmartPhone Access. This guide shows you how to use the Role Administration. 1. Open the browser on your mobile phone. 2. Go to the website address where you normally access TSR WebAdmin, for example https://s1.mytsr.net/123456/WebAdmin. 3. Login with your user credentials. To log out again, click ‘Log out’ in the upper right corner. 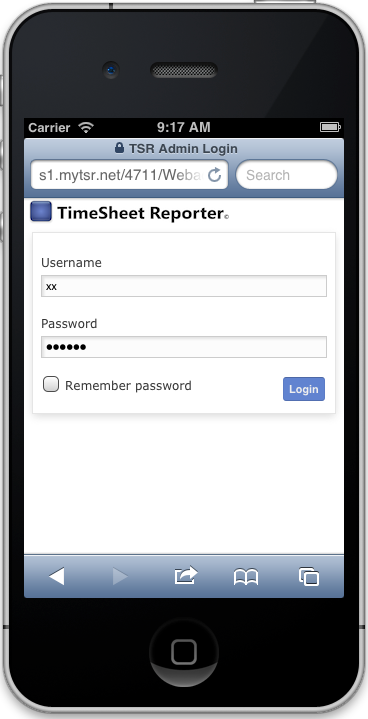 When having logged on to TSR WebAdmin for SmartPhones, you will see a list of your time entries. 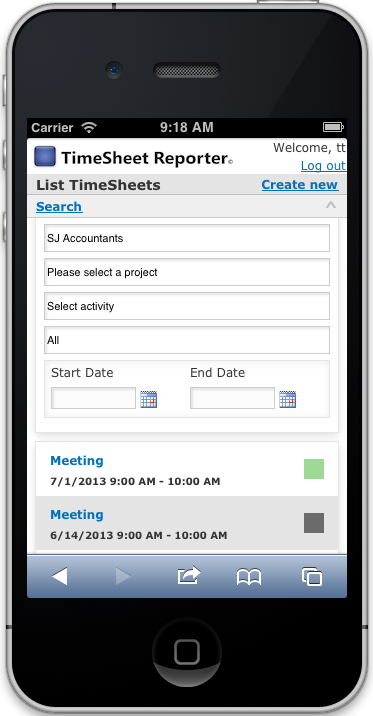 If you wish you can search for specific time entries, by clicking on ‘Search’ and enter your search criteria. 1. Click on ‘Create New’. 2. Enter the information you wish. 3. Click ‘Save’, ‘Submit’ or ‘Cancel’. 1. List your time entries. 2. Select the one you wish to edit.